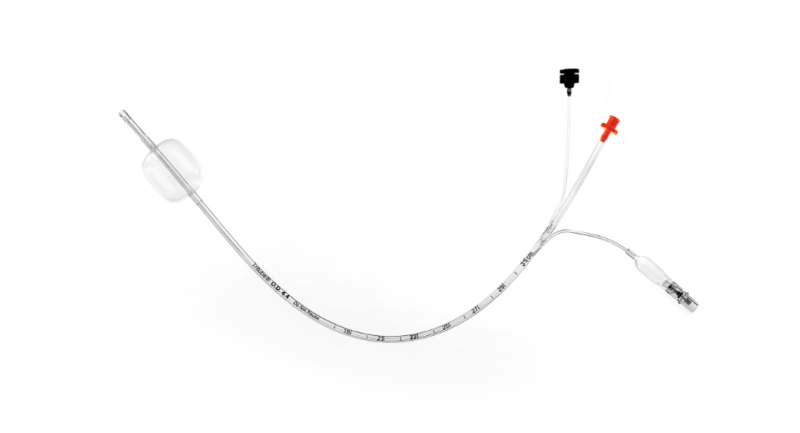 With an outer diameter (OD) of only 4.4 mm, Tritube is an ultrathin ventilation tube, intended to obtain endotracheal access to the airway and to ventilate an adult patient. Tritube can exclusively be used together with Evone or Ventrain. Tritube (including its cuff) is completely manufactured of high-quality Polyurethane (PU). Moreover, Tritube has a malleable stylet to facilitate intubation. 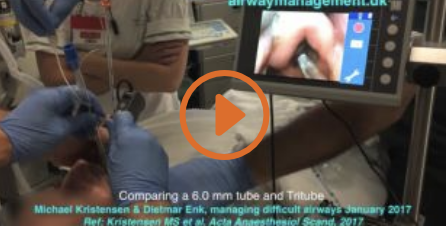 Tritube provides anesthesiologists and ENT surgeons in the field op upper airway surgery and oral surgery with effective ventilation in an open and obstructed airway. In combination with Evone or Ventrain as the ventilator, Tritube’s ultrathin OD of only 4.4 mm in combination with a sealed airway preventing turbulences of air nearby the surgical site, creates a large surgical exposure. Our ventilation techniques FCV® and EVA® enable full ventilation through small bore lumen, providing adequate ventilation even in cases involving critically obstructed airways.